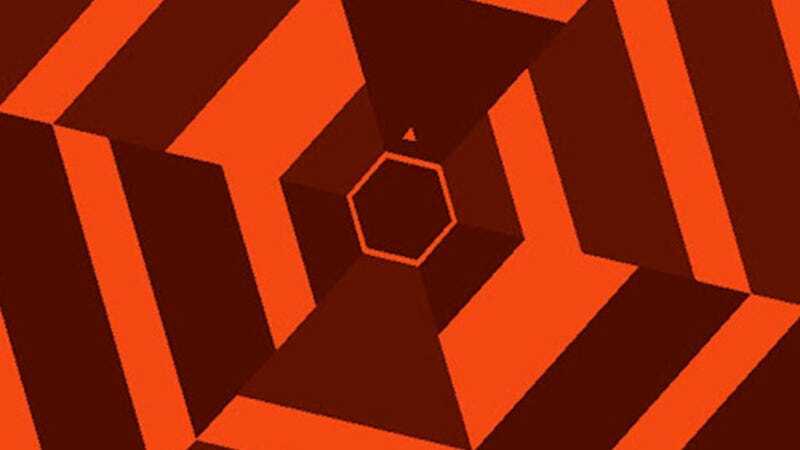 Slipping quietly onto Google Play over the weekend, Kotaku game of the year contender Super Hexagon performs its seductive dance on Android owners, spinning it's way into this week's top charts. The spiraling shape will make you go insane, but that hasn't deterred Android gamers from getting a taste of the game that's drove iOS and PC players batty last year. I'm tempted to buy it again just to have it on my new phone, and the $.99 introductory sale price isn't helping matters. Oh screw it—bought. Along with Terry Cavanagh's sublime creation, Temple Run: Brave makes an appearance in the paid charts as players gear up for this week's Android release of the free Temple Run 2. Which spot do you reckon that one will debut in next week?